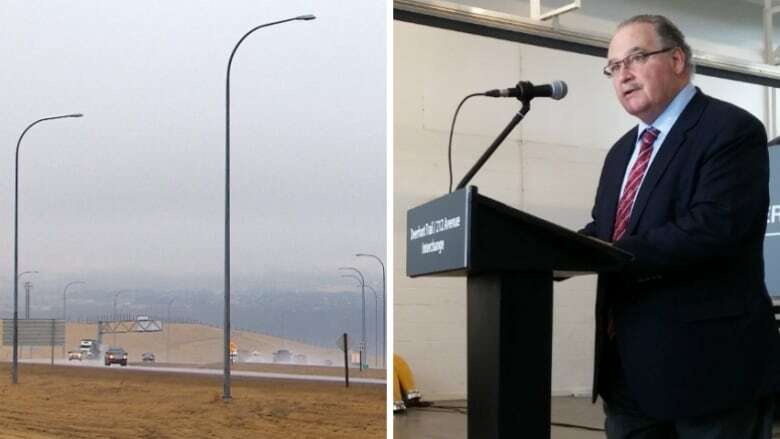 A joint project announced Thursday between the City of Calgary, the province and Brookfield Residential will see a new interchange built at Deerfoot Trail and 212th Avenue S.E. Southeast Calgarians rejoice — getting onto the Deerfoot will soon get a little easier. 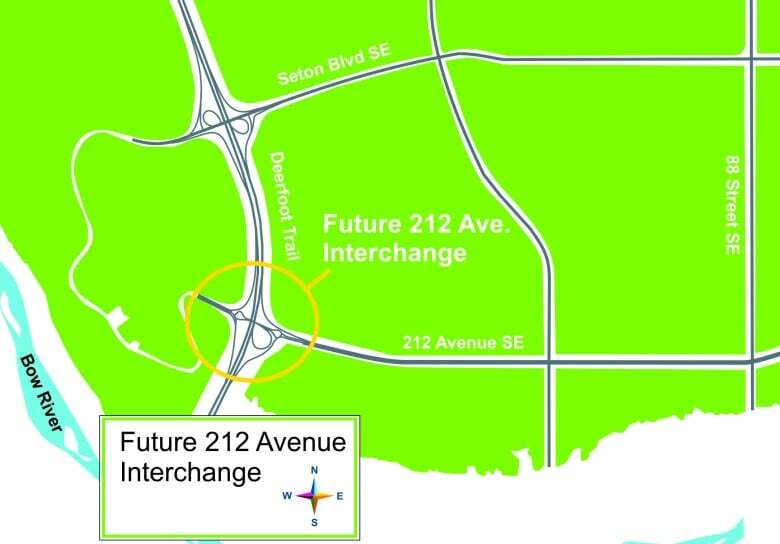 A joint project announced Thursday between the city, the province and Brookfield Residential will see a new interchange built at Deerfoot Trail and 212th Avenue S.E. The interchange will provide a new access point for residents in Cranston, Seton and the future district of Rangeview. It will also allow for better access to the South Health Campus. "Currently, residents of Cranston experience significant bottlenecks every morning when they try to access Calgary's most travelled road," said Alberta Transportation Minister Brian Mason. "The interchange will at least help to make more hours available for what matters most; friends, family and fun. Not sitting in traffic." Brookfield Residential said it estimates the new construction will support around $4 billion in economic growth and provide 25,000 jobs through the development of surrounding land. The project is estimated to cost around $40 million, which will be split equally between the three partners. "As Calgary continues to grow, this interchange will keep Calgarians moving while opening up this corner of the city for development. 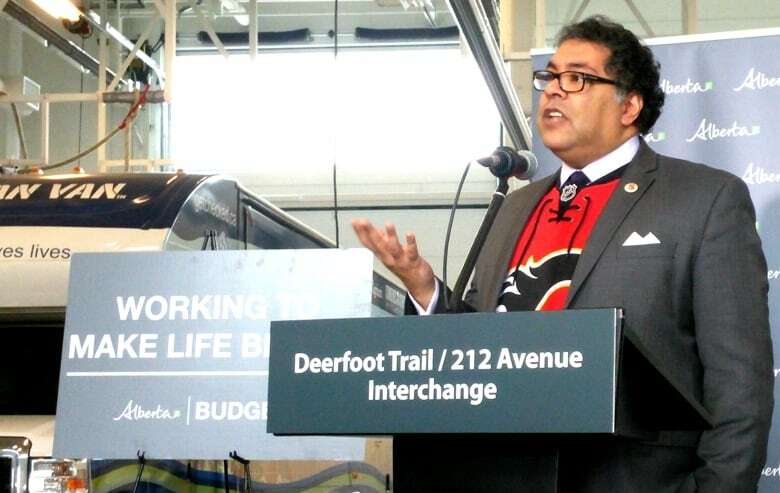 Our investment in this project is an important investment in the future of our city," said Mayor Naheed Nenshi. There are currently three other new interchanges underway in Calgary, at TransCanada and Bowfort Road, Glenmore Trail and Ogden Road and Macleod Trail and 162nd Avenue. Construction on the Deerfoot project is expected to begin later this year and will take about two years to complete.